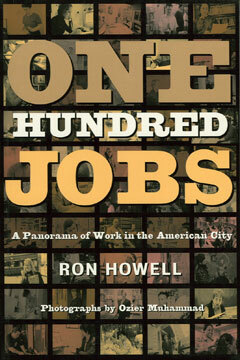 Using New York City as a microcosm of the American economy, One Hundred Jobs paints an original and revealing portrait of work in all its differences and extremes. Veteran journalist Ron Howell has interviewed one hundred workers to find out what they do all day, how they do it, how they are compensated, and how they view their working lives. These portraits are accompanied by statistics such as salary, health care benefits, average hours of work per week, and educational background, along with Pulitzer Prize winner Ozier Muhammad’s photographs of each employee at his or her job site. From locksmith to landlord, dermatologist to magician, hair braider to World Wide Web coordinator, the profiles in One Hundred Jobs demonstrate the remarkable diversity of American workers today, highlighting the differences in expectation and experience across the employment spectrum.